Price Guarantee If you purchase personal goods in Australia and then find the same product advertised later at a cheaper price within 60 days of purchase, from a store within 25km of the store where the item was purchased, you can claim back the difference if it is less than $500. No annual fee. No late fee. No additional card holder fee. Receive a complimentary bottle of wine every time you dine at a partner restaurant and pay with your Citi card. Balance Transfer0% on balance transfers for 18 months, 2% balance transfer fee applied. SpecialGet international transaction fees waived and a global ATM rebate. T&Cs apply. Balance Transfer0% p.a. for 14 months on balance transfers plus receive 10% cashback on spend in the first 3 months. The Citi Simplicity Visa credit card offers a moderately high interest rate on both purchases and cash advances with no annual fee. This Visa card has a high credit limit and provides a moderate number of interest-free days. Zero per cent interest is available on balance transfers for an introductory period. Four additional cardholders can be added to the primary account at no extra charge. Each person needs to be at least 16 years old. As a cardholder, you could join the Citibank Dining Program. Membership may entitle you to complimentary wine at participating restaurants. The Citi Simplicity Visa card comes with access to Visa Platinum Privileges and Citi World Privileges. These programs provide exclusive travel, entertainment and leisure offers. Using the card has been made safe and secure with digital wallet features. Samsung Pay and Citi Pay are available for compatible devices. If you want a credit card for everyday use with fringe benefits, the Citi Simplicity Visa credit card may be the solution. This card provides one moderately high interest rate for purchases and cash advances. And you have a moderate number of interest-free days available for purchases. The added extras that come with this Visa card include exclusive membership to various programs. You also get to use the 24/7 concierge service anywhere in the world. 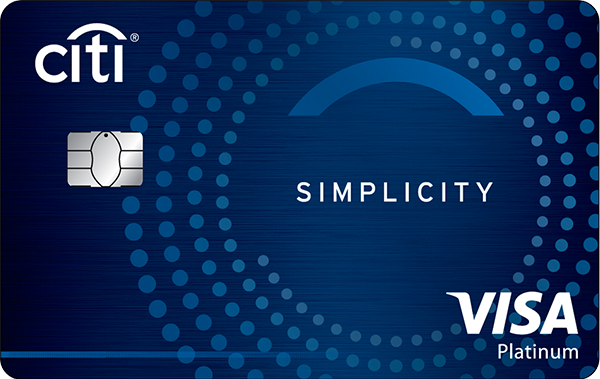 The Citi Simplicity Visa credit card comes with complimentary purchase cover and extended warranty insurance. If you’re someone who likes dining out, using this card at participating restaurants may entitle you to free wine. This credit card doesn’t come with a rewards or points program. So it may not be a suitable option if you wanted to use your credit card to accumulate points or earn rewards. The Citi Simplicity Visa is a card whose extras may appeal to the traveller, the shopaholic or the foodie – but if you don’t fit into these categories, it may not interest you. It comes with a 24/7 concierge service that can be accessed worldwide, complimentary insurances that protect purchases and a dining program offering free wine. For the fee-conscious, there’s no annual fee (for any cardholder) and no late payment fee. There a balance transfer fee applicable to the 0 per cent interest offer. The Citi Simplicity Visa has one moderately high interest rate for purchases and cash advances. It’s not a low-rate interest credit card and doesn’t pretend to be. It offers a high credit limit that is protected by Fraudshield, Verified by Visa and Visa Checkout. An emergency card replacement is available if the card is lost or stolen. To be eligible for a Citi Simplicity Visa credit card, you must be at least 18 years old. You need to be an Australian resident and earn more than $35,000 per annum. In addition to a good credit rating, you must be able to provide evidence of incomes, assets and liabilities. You can apply online, over the phone or in a branch. Acceptable forms of identification include a driver’s licence, Medicare card or passport. Citi Australia (also known as Citibank) is part of Citigroup. It commenced operations in Australia in 1985. It was one of the first foreign banks to be granted a banking licence in Australia. It offers a range of financial services, including deposit accounts, foreign currency deposits and investments, as well as credit cards, mortgages, insurance and charge cards. Citibank has more than 1,600 employees and its national headquarters is located at the Citigroup Centre, Sydney. Credit card rewards better than ever!